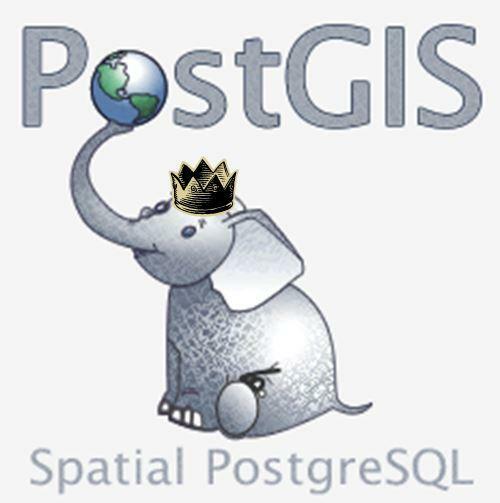 For those of you who will be attending either of our PostGIS sessions in Postgres Open 2014 in Chicago September 17th, we've put up a page where we'll be posting links to the data we'll be using as well as the examples so you can follow along and copy and paste. Page is http://www.postgis.us/pgopen2014. We ask that you bookmark the page before you come and try to install PostGIS 2.1 if you haven't already. Not much to see there yet. For those who haven't signed up, it's not too late. For those who will be unable to make it, we'll try to post all the content from the tutorials on the above page. PGDay 2015 San Francisco will be held March 10th 2015 in Hyatt, San Franciso Airport, Burlingame, CA (Just outside of San Francisco). This year PGDay will be hosted along-side Free and Open Source Geospatial North America (FOSS4GNA) conference 2015 which runs March 9th-12th and EclipseCon NA 2015. Speaker submissions for FOSS4GNA 2015 and EclipseCon NA 2015 will end this Monday November 17th, 2014. Call for papers for FOSS4GNA 2015 is still on, but ends this Monday November 17th, 2014. Accepted speakers for FOSS4G 2015 NA get to attend the main conference for free. 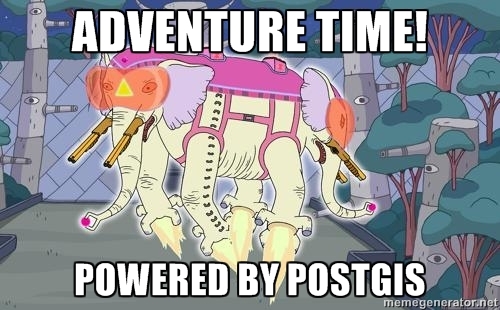 PostgreSQL 9.4 RC1 came out. I managed to entertain myself with a Conway's game of life PostGIS raster Map algebra style and pondered how wonderful PostGIS would be if it could generate animated gifs with some sort of aggregate function; to which I was politely called crazy by some of my fellow PSC friends. At FOSS4G we gave two presentations. The videos from other presentations are FOSS4G 2014 album. I have to commend the organizers for gathering such a rich collection of videos. Most of the videos turned out very well and are also downloadable in MP4 in various resolutions. It really was a treat being able to watch all I missed. I think there are still some videos that will be uploaded soon. As mentioned lots of PostGIS/PostgreSQL talks (or at least people using PostGIS/PostgreSQL in GIS). Slides and code to our talks can always be found on our presentations page. Mending Spatial Data with PostGIS: Sorry no slides. Leo doesn't believe in slides and only believes in live presentations. But he has code Video . We have a biggish splash page for this with the related content. PG Open 2014. PostGIS: Up and Running slides very incomplete but all I could get Leo to put up with and even had to sneak some in. The slides again don't cover all that was covered because Leo doesn't like slides and thinks all talks should involve running code live. So again please look at the code and use your imagination to figure out what transpired. I must add that SANS slides, Leo managed to cut into lunchtime I think I'm about to cut into your lunch time, everyone okay with that? Hold on let me check to make sure there is food left. At lease he recognized an issue. Thanks all for being a good sport about it. PostGIS2.1 on Caffeine:Raster, Topology, and pgRouting PDF version despite having 110 slides, I was a bit unprepared and had an embarassing amount of time left. Lesson learned follow Leo's lead with more live demos and polish up on my pgRouting and Topology content. If PG Open folks are willing to have us again, I should have a more polished training next time around. There was so much more about raster I wanted to say but didn't want to monopolize too much of the time talking about rasters.